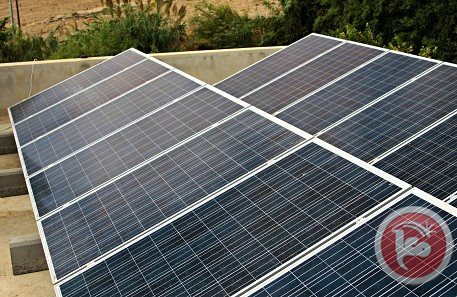 A group of settlers from the illegal outpost of Mitzpe Yair on Thursday attacked and destroyed solar panels belonging to a Palestinian community in the south Hebron hills, locals said. Israeli settlers cut down more than 50 olive trees in Huwwara village south of Nablus in the northern West Bank on Thursday, a Palestinian official said. 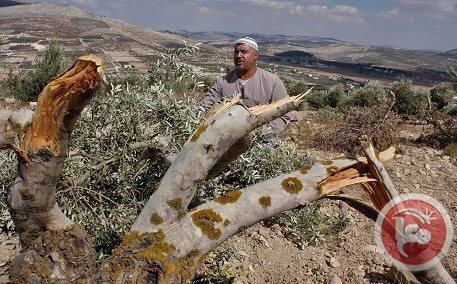 Ghassan Daghlas, a Palestinian Authority official who monitors settlement-related activities in the northern West Bank, told Ma'an that "a number of settlers from Yitzhar settlement chopped down more than 50 olive trees in al-Naqara area north of the village." 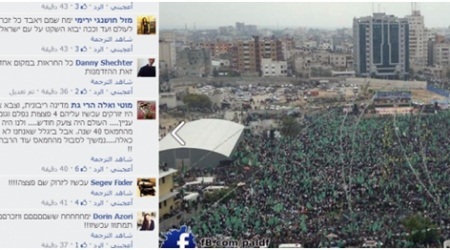 Daghlas pointed out that the trees belong to Ahmad Odeh and Ghazi Al-Mukhtar. He added that more than 5,700 trees have been cut down by settlers in the West Bank since the beginning of this year. The villages south of Nablus are a frequent site of settler violence and Palestinian clashes with Israeli forces as they are located beside the notoriously violent Israeli settlement of Yitzhar. Settlers frequently locals and prevent farmers from reaching their lands, in addition to attacks on olive trees themselves. A horde of fanatic Jewish settlers on Wednesday destroyed and uprooted more than 1,200 olive seedlings and trees in a Palestinian-owned piece of land in Turmus'ayya town, north of Ramallah city. Rabhi Awwad, head of the municipal council in the town, told Quds Press that extremist Jewish settlers went on the rampage in a vast tract of olive fields, destroying and uprooting hundreds of olives saplings and trees. Awwad added that the settlers stole many olive saplings and entirely smashed all fruitful trees. About one month ago, Jewish settlers had destroyed thousands of olive and almond trees in different towns in the north of Ramallah city, especially in the towns of Sanjel and Turmus'ayya. 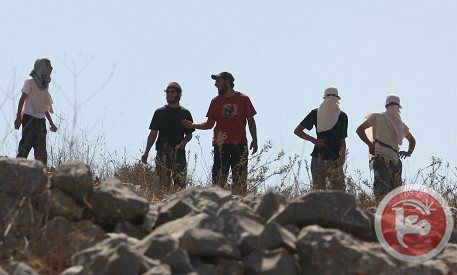 In a separate incident, another group of Jewish settlers attacked on Wednesday afternoon Palestinian farmers and citizens during their presence on their lands near Mabo Dotan settlement, which was built illegally on the lands of Yabad and Araba villages, south of Jenin. Local sources reported that armed settlers came from the settlement and forced, at gunpoint, Palestinian farmers and landowners to leave their lands. 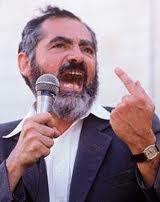 They said that the Jewish assailants threatened to kill the Palestinians and uttered racial slurs against them. Those settlers also closed under military protection the area extending from Dotan checkpoint to Yabad town. The landowners in that area often suffer big agricultural losses resulting from the repeated assaults by Jewish settlers. In Salfit city, Palestinian livestock farmers complained that their usual grazing areas keep diminishing because of the fencing activities carried out by Jewish settlers. 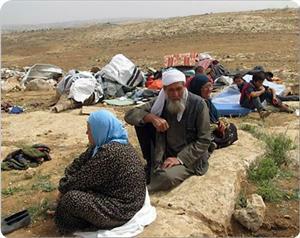 Specialist in settlement affairs Khaled Ma'ali stated on Wednesday that wide grazing areas had been fenced by Jewish settlers, while Israeli security men of settlements prevented famers and shepherds from getting near these annexed areas, especially in Wadi Qana. Ma'ali stated that the large number of Israeli settlements in Salfit province destabilized its ecological balance and caused many wild animals to disappear, not to mention the significant decrease in livestock production. 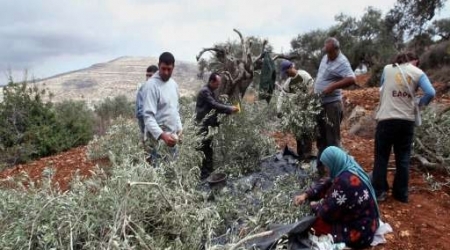 Israeli settlers on Wednesday uprooted 400 olive seedlings in the lands of Turmus'ayya, east of Ramallah. 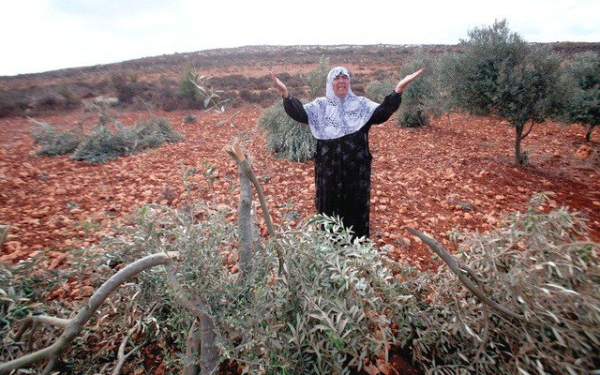 PNN reporter quoted local sources as saying that a group of settlers from a nearby illegal settlement, sneaked into the village at dawn, and uprooted the olive seedlings. Suspected Jewish extremists punctured the tires of dozens of Palestinian cars in annexed East Jerusalem on Monday in the latest so-called "price tag" hate crime, police and an AFP correspondent said. 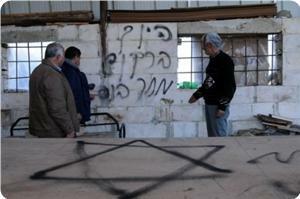 The attack took place in Beit Hanina with Hebrew graffiti on a nearby bus reading "Gentiles in the country are enemies". Police said the tires of 34 cars were punctured, but an AFP correspondent at the scene placed the number at 45, noting all four wheels of each car were slashed. Residents told Ma'an that the damage was discovered at 5 a.m. as locals left their homes to go to work. "Five settlers stormed the al-Samah square at around 2:30 a.m. coming from the direction of Pisgat Zeev settlement which is built on lands of Beit Hanina. Two of them positioned themselves at the main entrance to watch as the rest assaulted properties in the neighborhood," local resident Muhammad Abu Sneina told Ma'an. In June, 21 cars were vandalized in a similar attack in Beit Hanina not far from Monday's attack. Last month, the tires of 31 cars were slashed in a Palestinian neighborhood in the southern sector of East Jerusalem. Jewish fanatic settlers punctured the tires of 34 cars and buses in Beit Hanina, north of occupied Jerusalem, at dawn Monday. Eyewitnesses and locals said that members of the so-called Price Tag gangs committed the act and also sprayed racist graffiti on walls of the suburb saying “Non-Jews in the country = enemies”. The act was met with anger on the part of the inhabitants, the sources said, adding that Israeli policemen arrived to the scene to investigate the incident. Price Tag gangs have recently attacked numerous Islamic and Christian holy shrines and civilian property in occupied Jerusalem and the West Bank, but the Israeli police always registered the attacks as against unknown persons. Israeli soldiers and officers and Jewish settlers stormed al-Aqsa Mosque on Sunday morning, under the protection of the Israeli police forces. Al-Aqsa Foundation for Endowment and Heritage said in a statement that a group of Israeli settlers and soldiers broke into al-Aqsa Mosque from the Mughrabi Gate and toured its courtyards, under tight protection by military and police forces. 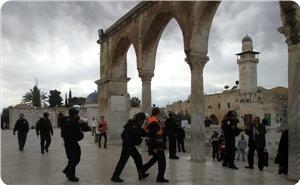 The foundation said that another group of Shin Bet officers stormed al-Aqsa compound and organized a tour there. 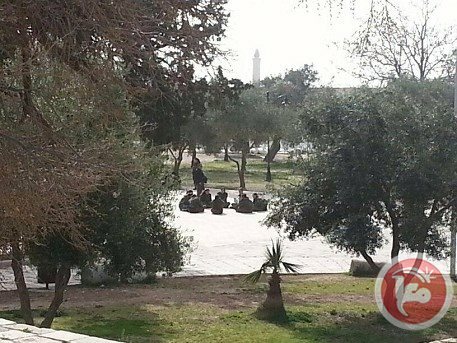 It added that the Jerusalemite students in the mosque tried to confront the incursion, while the Israeli police continued to tighten its security measures on the entry of students into al-Aqsa. 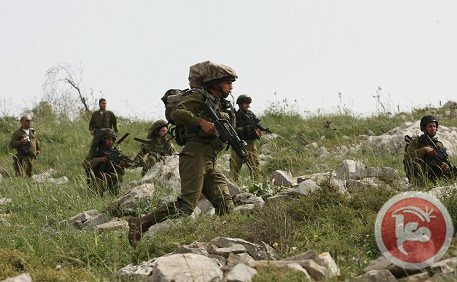 Clashes broke out Sunday morning after Jewish settlers attacked Palestinian farmers in their fields near the northern West Bank village of Burin south of Nablus. Ghassan Daghlas, a Palestinian Authority official who monitors settlement-related activities in the northern West Bank, told Ma'an that dozens of settlers from the nearby Bracha settlement attacked Palestinian farmers in the eastern fields of Burin. The farmers fought back and clashes broke out as both sides hurled stones at each other. As a result, 30-year-old Munir Qandus was injured by a stone and was evacuated to the hospital for treatment. Daghlas highlighted that Israeli settlers "use all means possible to prevent Palestinian residents from building agricultural roads which would help them access their lands." The area around the villages south of Nablus is a frequent site of settler violence and Palestinian clashes with Israeli forces as it is located beside the notoriously violent Israeli settlements of Yitzhar and Bracha. International Solidarity Movement team - On March 20, four settlers from Havat Ma'on illegal outpost attacked, in two different places at the same time, two internationals and seven Palestinian shepherds while grazing flocks on their own land. The settlers were armed with a gun and slingshots. At 9.58 am a settler with a gun chased two Palestinian shepherds away, while grazing between the Palestinian village of Tuba and Havat Ma'on Israeli illegal outpost. He first shouted at the shepherds and then ran after them for more than two kilometers. The harassment lasted for about one hour, when the shepherds finally arrived to Tuba. At 11.30 am the police car arrived to Tuba and after five minutes the policeman reached the settler who chased the Palestinian shepherds away. The settler was still close to the Palestinian village. The policeman inquired one of the Palestinians, Ahmed Jundiya, and the settler. After that both of them got in the police car and were driven to Kiryat Arba police station. The two filed a complaint against each other: the settler maintained that the shepherds were on Israeli land and Jundiya proved, thanks to his camera provided by B'tselem organization for human rights, that he was chased away while grazing his flock on Palestinian land. A right-wing Jewish Israeli on Sunday took photos of the Al-Aqsa Mosque using a small drone with cameras that he flew from the cemetery near the Golden Gate. Eyewitnesses told Ma'an that the man focused the drone's camera on the Dome of the Rock. They added that they saw the man directing his drone and cameras remotely, from just outside the Old City near the Al-Aqsa compound. After the guards of Al-Aqsa noticed the drone, they called Israeli police who arrived and detained the settler. Director of the Jerusalem office of the Palestinian Authority Ministry of Endowment Sheikh Azzam al-Kahtib called upon Israeli police to immediately investigate the incident as such behavior, he said, poses real threats to the Al-Aqsa Mosque. Some right-wing Jewish groups call for the destruction of the Al-Aqsa mosque and the construction of a Jewish temple there, and recent calls for the extension of Israel sovereignty over the compound -- which is maintained by an Islamic trust under Jordanian oversight -- have inflamed tensions. The Al-Aqsa compound sits just above the Western Wall plaza and houses both the Dome of the Rock and Al-Aqsa mosque, and is the third holiest site in Islam. 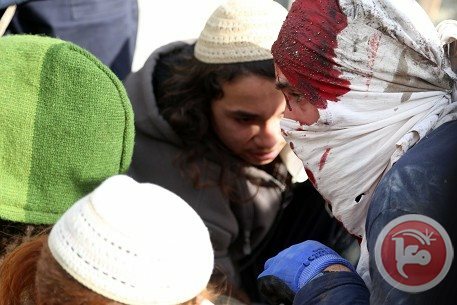 Two Palestinian children were injured on Thursday afternoon after a group of Israeli settlers attacked them near the village of Beit Furik east of Nablus, the children said. Musab Fouad Khatatba, 11, and Amir Mohammed Saleh, 11, suffered moderate injuries as a result of the attack, which they said was carried out by settlers from the nearby Jewish settlement of Itamar. Musab Khatatba said that the settlers attacked him with sticks and struck his head, face, and back during the attack, which occurred after the group had detained him and his friend just east of the village. 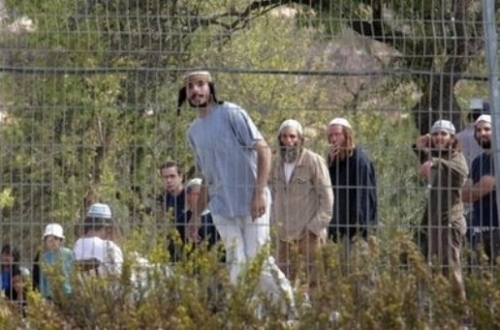 He said that the settlers forcibly brought them to Itamar, where they handed them over to Israeli authorities. They were subsequently handed over to a Palestinian official liaison, who transferred them to the Rafidia government hospital west of Nablus for treatment. Clashes later erupted between settlers and dozens of young men in the village. An Israeli army spokeswoman said she had no information regarding the incident. Dozens of Israeli soldiers and settlers toured the courtyards of the Al-Aqsa mosque compound on Wednesday, the Palestinian Authority Ministry of Endowment said. 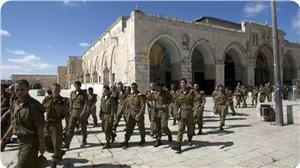 Over 90 Israeli army recruits entered the compound via the Moroccan Gate and were escorted by Israeli police officers. The visit was part of an Israeli army orientation tour, the PA ministry said. Over 20 extremists also entered the mosque compound, it added.